The Onyx is a ranch style home designed for peaceful living situated on a corner. 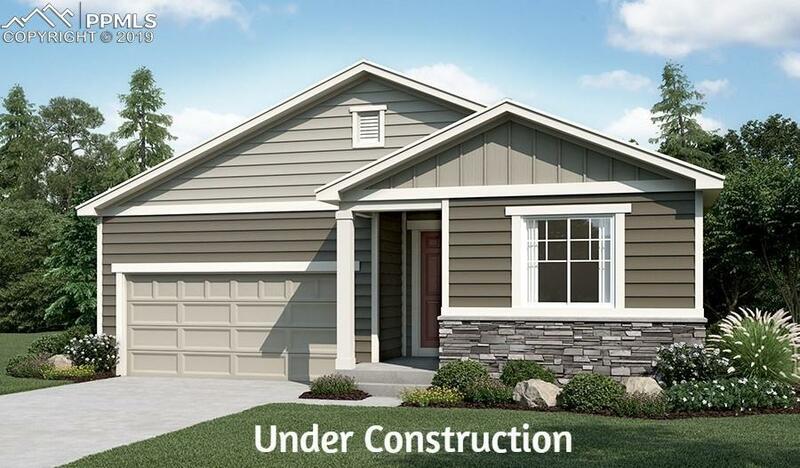 The open floor plan has a great room, spacious kitchen with center island, and bright 12' slider in the dining room that expands your living area into the covered back patio. The beautiful kitchen has maple-wood cabinets, a large pantry, and a dishwasher, oven, microwave appliances included. You will also appreciate an elegant master suite with upgraded deluxe oversized shower. The home boosts a temperature controlled crawl space and an active radon system and 2 car garage with 7 ft garage doors that is standard. It also will come with fully landscaped front yard, including sprinkler system. You will not be able to pass up morning coffee with the direct view of Pikes Peak! Listing provided courtesy of Richmond Realty Inc.